Furthermore, Mozilla said, the plug-in API support is now considered stable so that developers can begin finalizing their plug-ins for the final version of Firefox 4, now due in 2011. 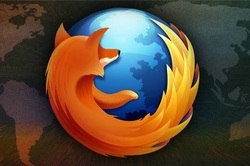 Users can download the beta from the Mozilla Web site. Firefox said the flagship addition to the new beta is probably the addition of the JägerMonkey JIT compiler, which can dramatically boost performance: by five times the beta 4's performance in the V8 Version 6 benchmark, and by three times beta 4 in both SunSpider and the Kraken benchmark. Mozilla also said that the new beta supports hardware acceleration in the final compositing of a Web site. To enable this, users will need a DirectX 10 supported graphics card; even Windows XP is supported. (To check, type "about: support" after downloading and installing the beta; then scroll down to the bottom and see if the "GPU Accelerated Windows" descriptor contains a "1/1" after it.) But the additional acceleration will mean that users will be able to tap into the power of their graphics card for rendering, instead of merely using the CPU to render a page. Mozilla also enabled graphical improvements with both the use of OpenType, which enables various Web fonts, as well as 3D graphics via WebGL. In this case, either a Mac or a Windows user will need a graphics card that supports OpenGL; however, that also means that more 3D graphics content should be able to be encoded within the browser. The new beta also includes support for HTML5 forms, complete with auto-fill capabilities.